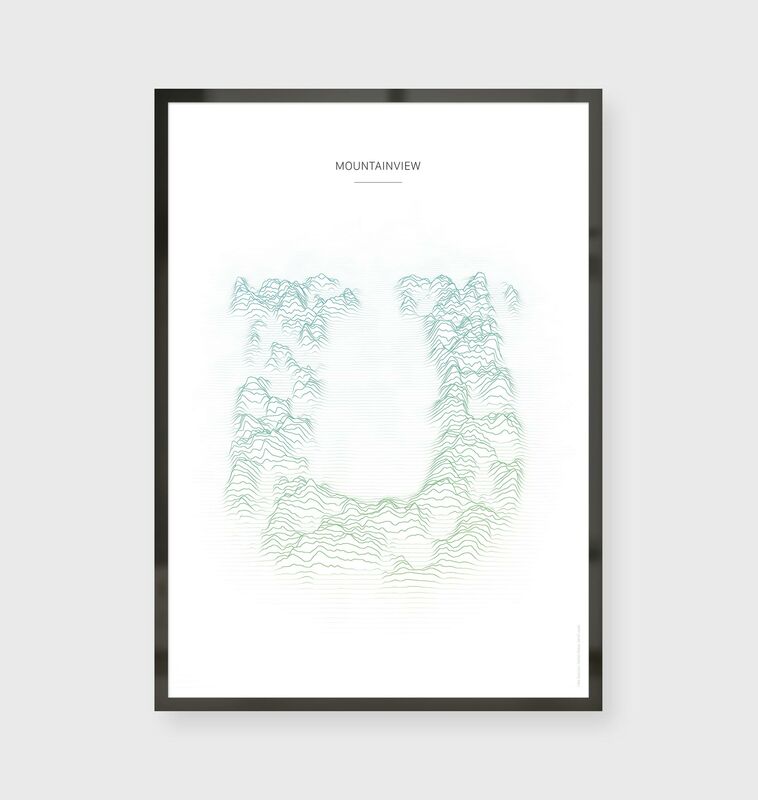 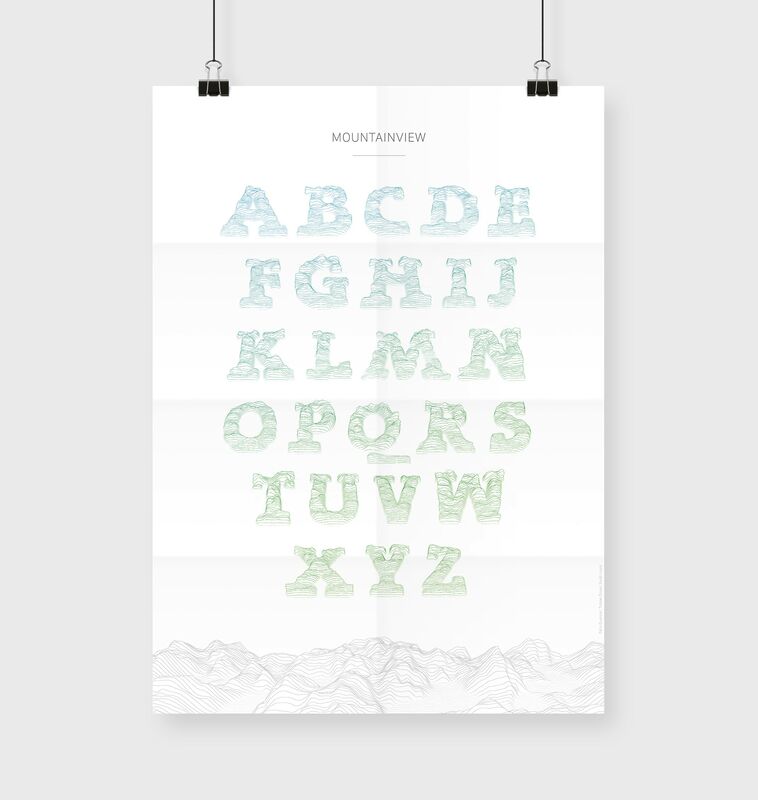 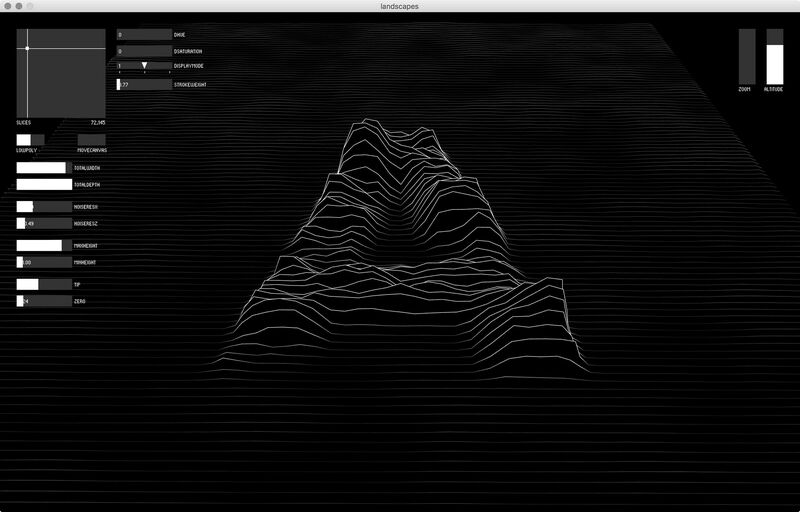 Mountainview is a poster series with generatively created typography. 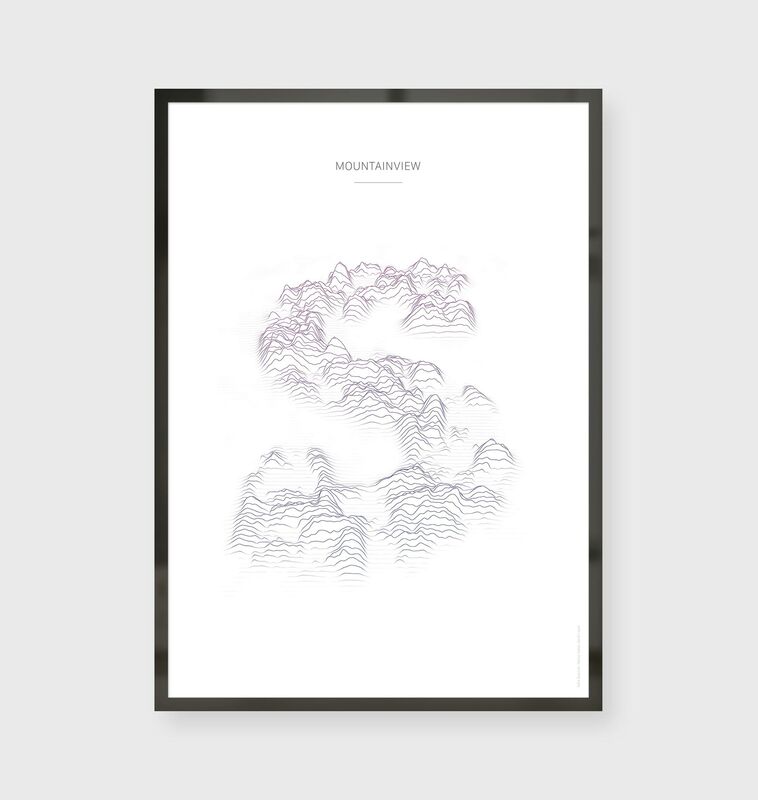 The letters consist of thin lines and resemble a mountain structure. 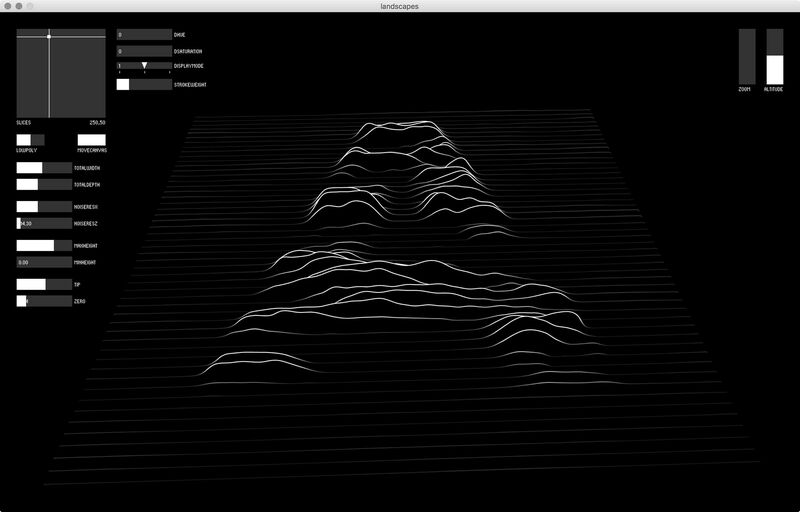 The structure is generated by a processing sketch we developed using noise fields, which can be changed by sliders on various parameters such as height, width and line thickness.